For ICT industry professionals interested in growing their career, their company and the industry. 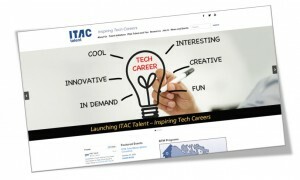 ITAC Talent is pleased to announce the launch of its new website. ITAC Talent, a division of ITAC, works with business leaders, the public sector, and educators to motivate young people to select today’s in-demand tech–related careers, and improve the availability and quality of post-secondary technology–related education. ITAC Talent also operates mentorship programs and develops education initiatives at both secondary and post-secondary levels. What can you get done in 10 minutes? Brew a cup of coffee. Respond to a couple emails. Help identify ways to address the coming talent shortage in the healthcare IT industry. While you might need that caffeine, we NEED to understand why people take, stay in, or leave health IT jobs—and what’s stopping them from consulting. In the next five years, as many as 8,500 roles will go unfilled if we don’t begin more effective recruiting and retention. Will you help us figure out how? Greythorn North America and Tectonic Advisory Services will donate $1 to the Steven Huesing Scholarship for every completed survey response, and results will be available this fall. You’ve got 10 minutes, so take the survey now. 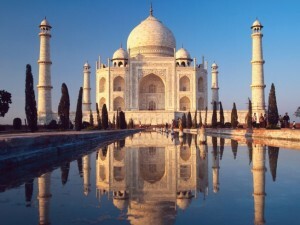 ITAC will lead its third ICT mission to India October 26-30, 2015. Previous missions have shown the tremendous potential of the Indian marketplace for Canadian technology solutions. By leveraging the assets of Canada’s Trade Commissioner Service and Export Development Canada, ITAC has brought mission participants face-to-face with major players in the Indian ICT ecosystem. Many have returned to Canada with significant orders, partnership leads and new ideas about how to enter this immense market. With one of the fastest growing and most sophisticated wireless networks in Asia, many Indian carriers see themselves as key instruments in service delivery. This translates into opportunities for Canadian companies in digital content, e-health and cyber security. The nominations for the 2015 Ingenious Awards and the 2015 CanadianCIO of the Year closed in mid-July and its now up to the judging panels to come up with the winners. "There were 57 Ingenious Award nominations and 14 CanadianCIO of the Year submissions," says Lynda Leonard, lead organizer of the awards program. "There was great national representation and the quality of the submissions exceeded expectations." Leonard said the nominations underscore the powerful roles ICT plays in Canada. The judges will review the submissions over the coming weeks and meet in early fall to decide on finalist and the winning submissions. A short video will be made for each of the winning entries that will be shown on stage during the Ingenious Awards Gala November 17 in Toronto. Register now to take take advantage of early registration discounts. Future tech leaders checked out the Digital Nova Scotia's Digital Discovery Camp at the Discovery Centre are holding a new advanced Digital Discovery Camp in Halifax. A digital planetarium was one of the favorite features. Keeping our sector priorities plugged into our federal election. With the federal election upon us, ITAC wants to ensure the association's four key priorities are front and centre. To do so, we will be reaching out to each party leader, asking how they intend to support Canada's ICT sector, and reporting their responses to ITAC membership. We are also encouraging our members to do the same, urging them to engage with their local members of Parliament on issues related to ICT. Together we can make the advancement of ICT a priority during the election period and make certain our issues are integrated into party platforms. We will be posting copies of our communications with the each party online, adjusting our website messaging to focus on our ICT priorities, and distributing party responses to you throughout the campaign period. Don't forget to register for ITAC IT Golf Challenge at the The Summit Golf & Country Club. The Sept. 1 event offers great golfing, great food and unique networking opportunities. Register today. Do you have a a story you'd like to see featured in the ITAC Industry Insider? Send us an email and we'll work together to share it with the ICT community. Copyright © 2015 Information Technology Association of Canada, All rights reserved.